JEEP GRAND CHEROKEE OVERLAND 4X4, IVORY TRI-COAT PEARL, NAPPA LEATHER-FACED FRT VENTED SEATS, 265/50R20 PERF ALL-SEASON TIRES, 20X8 FULL-POLISHED ALUM W/SATIN, BLIND-SPOT/RR CROSS-PATH DETECTION, AND MORE! Submit a form online for more info. About Us South Oakville Chrysler Fiat is your local source for new and used Chrysler, Dodge, Fiat, Jeep, and Ram vehicles. 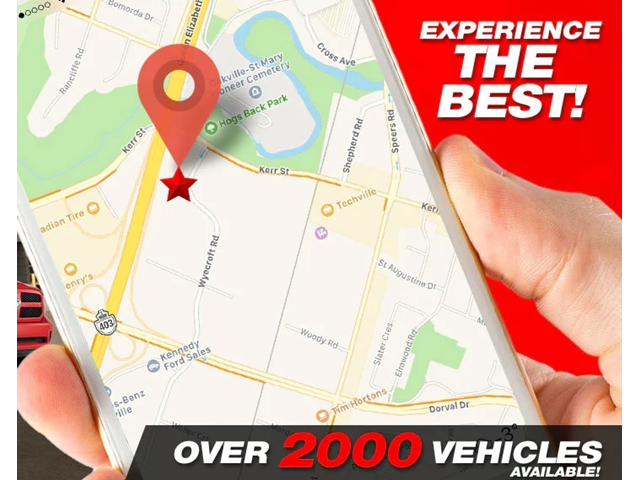 Conveniently located just off Dorval QEW, our dedicated sales staff is ready to provide you with an outstanding sales and service experience. Now owned and operated by the Nimeck Brothers since August 2014, South Oakville Chrysler Fiat has one of the largest selections of Chrysler, Dodge, Fiat, Jeep, and Ram vehicles. With over 300 units in inventory, we're certain we have the vehicle for you on our lot. We also carry a wide selection of pre-owned vehicles from multiple manufacturers. So don't hesitate to call, stop by, or even submit a form online to experience the South Oakville Chrysler Fiat difference! Our address is at 175 Wyecroft Rd. Please feel free to give us your likes on our Facebook page ! *Please note all prices are plus HST and Licencing. Some accessories may not be included and vehicles may not be exactly as shown. All eligible manufacturers discounts have been applied to our sale price. This vehicle is $6,494 BELOW MARKET (12%) in the Oakville area. It is analyzed against similar 2018 Jeep Grand Cherokee's and is based on kilometers, transmission, trim, and options.